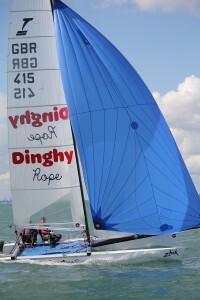 13 boats arrived at Stokes Bay this year to fight it out to be the Tornado National Champion. The event sponsored by Zhik was run over Friday, Saturday and Sunday with 3 races on each day. Friday was the sunny day with around 14 knots of breeze which held consistently for the day. With only Tornado’s on the race course there was plenty of room for the competitors. There was some confusion in the first race where a few boats missed the downwind gate on the way to the finish leading to a DNF for Aaron Young and Rob Butterfield. It was Grant Piggott and Adam Kay who put an early mark on the series taking all three race victories for the day. Saturday saw a postponement to start with for over an hour while the sailors waited for a steady 6 knots of wind as required by the class rules. Eventually the breeze arrived and it increased all day with gusts of 30 knots in the last race of the day. The increased breeze lead to some capsizes and minor breakages meaning only 6 boats completed the last race. In the evening Stokes Bay Sailing Club organised a band along with curry in the club house, a good chance for everyone to catch up and refuel ready for the last day of racing. Sunday started much like Saturday with light winds but soon picked up. The grey clouds appeared from the direction of the Isle of Wight along with a mini squall while the race officer was adjusting the course for the change in wind direction. The third and last day of the championships saw some other competitors getting into their stride. Soon after racing was underway in the first race, there was a change in leaders for the first leg with close racing until the bottom gate where a port starboard situation which saw Steve Glynn and Tom Duckmanton pitchpole with nowhere to go. Unfortunately this put them out of the race and they had to retire. Aaron Young and Rob Buttterfield took the lead but of course Grant Piggott got past them to take the race victory. In the second race it was Michaela and Andrew Dowley who held the lead for the first lap and a half before being over taken on the downwind leg to take 4th place. Once the last race of the event had started the wind increased to over 30 knots again leaving only 4 competitors to finish the race. With 9 victories from 9 races it was Grant Piggott and Adam Kay who took the victory, Grants 4th championship in a row sailing the General Lee. 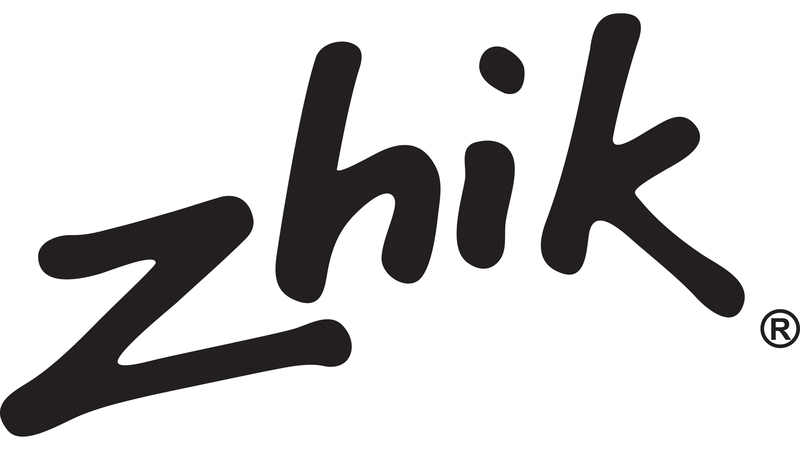 A massive thank you to Zhik who have supported the class for a number of years providing the prizes for the sailors and to Stokes Bay Sailing Club and their volunteers for an excellent event. For more information on the Tornado Class please check out our website www.tornado-class.org, follow us on Twitter www.twitter.com/tornadoclass or like us on Facebook www.facebook.com/tornadoclass. Previous: Tornado Class Hitting Ibiza!